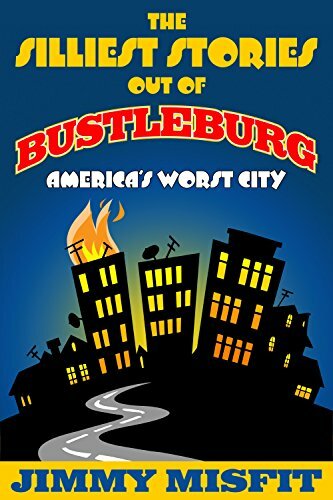 If Welcome to Nightvale and the Hunger Games were mixed into a smoothie, it would taste like the Silliest Stories Out of Bustleburg. With a royal family in addition to a mayor, the town of Bustleburg is not your typical town. Run by major polluters Dellaflame safety services and Toxaco, Bustleburg outlaws ovens, trees and libraries as fire risks. Birds and museums are also outlawed. There is a five-tiered caste system with the rich living the good life in Privilege Pond where the forbidden items are still allowed. Containing 21 connected stories, this book is an interesting dive into an intriguing world. It would be a good choice for fantasy fans. 3 stars! Thanks to JMS Books LLC and NetGalley for a copy.